For this soup, Amy’s Kitchen travel to Spain for inspiration. Organic tomatoes, red beans, onions, sweet red peppers and sweetcorn are combined with organic brown rice. Then there’s the addition of green chillies to provide an extra kick. This vegan soup is wonderfully fresh and just that little bit different, perfect for spicing up your lunchtime. 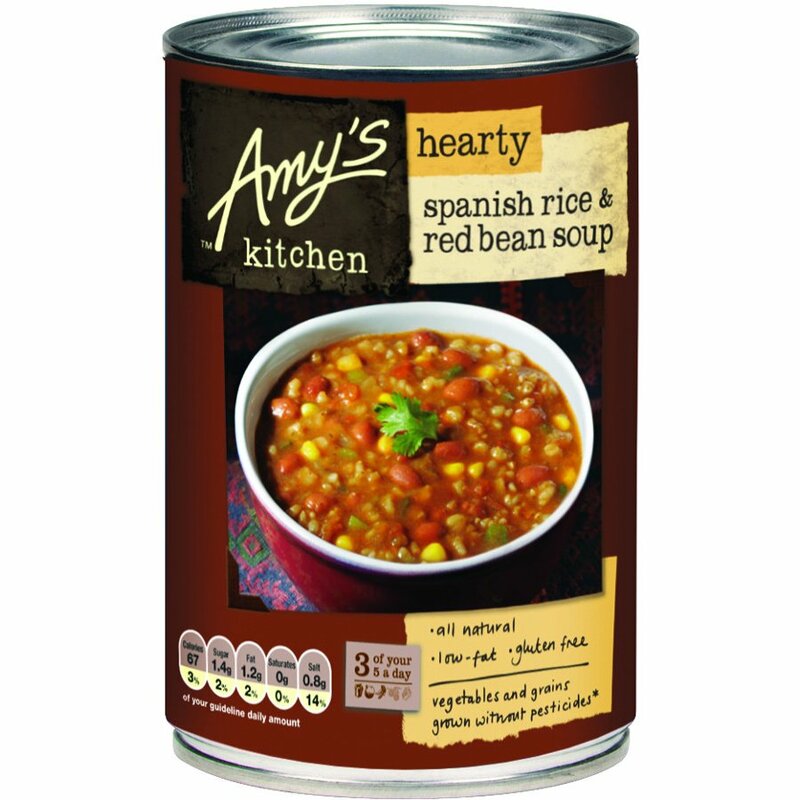 The Amy's Kitchen Hearty Spanish Rice & Red Bean Soup - 416g product ethics are indicated below. To learn more about these product ethics and to see related products, follow the links below. A lovely soup for a cold winter's day. 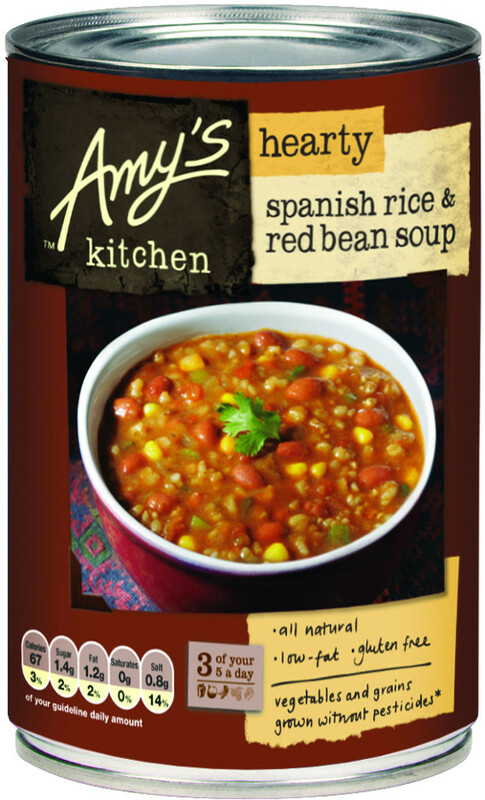 There are currently no questions to display about Amy's Kitchen Hearty Spanish Rice & Red Bean Soup - 416g.